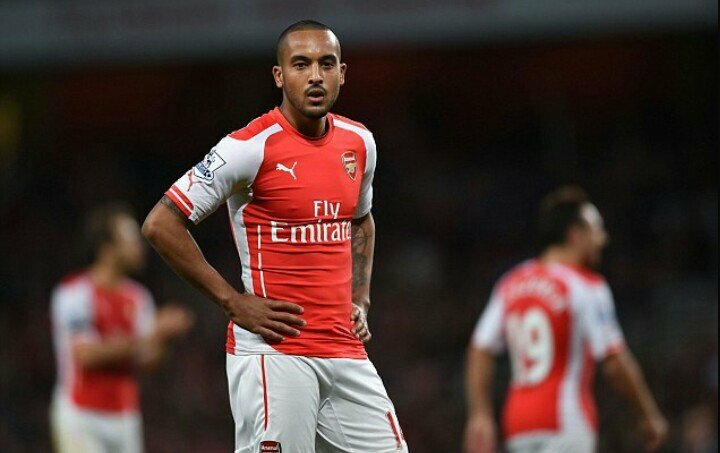 Home > Football > Is Theo Walcott Finished? After finally recovering from his longest injury yet, Theo Walcott is back playing somewhat regular football for Arsenal. But since his return from a 12 month absence he hasn’t shown any kind of change with his abilities on a football pitch and his recent performances have highlighted this. Against West Ham two weeks ago, he squandered four pristine chances that the likes of Giroud, Cazorla and (probably) Ozil would have buried. Against Monaco he made absolutely no impact after coming on as a substitute and in the Newcastle game at the weekend he was unused. I know a lot of people think that he just needs time but they’ve probably being saying that after every one of his past injuries. Arsene Wenger needs to be seriously contemplating on if he actually needs him in the side, but its whether the Frenchman can look beyond the fresh 16-year-old he signed him as, and see the 26-year-old that he currently is dealing with. Do Arsenal really need him? The simple answer is no. The Gunners aren’t actually gaining anything from him being constantly injured, unable to show off his talents when he recovers, and never being able to produce that killer end product that everyone has been waiting 10 years for. It’s no good having a player who never learns from his mistakes but that’s exactly what Walcott is. Like the Theo of past years, we’ve recently seen him being able to terrorise defenders with his blistering pace and find pockets of space in the penalty box. However just like the Theo of past years, we’ve also recently seen him not being able to stick the ball in the back of the net or set up one of his team mates. So where next for Theo? With the calibre of Oxlade-Chambelain, Cazorla, Ozil, Welbeck and Sanchez all competing and being preferred for similar positions, it looks like Walcott needs to move on to somewhere different. Shock reports have suggested he might be on the way to Anfield but you won’t be surprised to hear me say this but I somehow don’t see that happening. Though there are other clubs that he would slide nicely into. Teams like Crystal Palace, Aston Villa and possibly even Southampton all could be potential matches for the 26-year-old. Perhaps even a move abroad could be on the cards? I wouldn’t put a transfer to David Moyes’ Real Sociedad past me for the out of sorts Englishman. Wherever he goes I think he needs to be the main player on the team and with a group of dedicated coaches focused on getting him back where he was as a teenager: injury free and a real talent. Clearly Roy Hodgson has seen something in the Southampton graduate’s recent form that others haven’t and has placed him in the England squad for the Three Lion’s upcoming Euro 2016 qualifiers. Maybe its a chance to prove that he can still be an England regular because who can forget that astonishing hat-trick he scored against Croatia in 2008 under Fabio Capello? Maybe if he decided to rediscover that kind of form, people won’t be on his back so much. This may not be apparent but I like Theo Walcott because he works hard and has the patience and determination to carry on playing football after all the injuries that have effectively ruined his career. But if he doesn’t start offering something to his team and showing that he deserves to be picked week in week out for Arsenal and play alongside some of the Premier League’s best players, then he needs to be on his way out of the Emirates and to a team where he can make a difference. But Arsene Wenger needs to realise this before anything else happens and quite frankly I don’t think he will.